Ever since the art of drag broke into the mainstream, there has been scrutiny. As an art form that was always on the fringe of society, not everybody understands what drag queens represent, but that hasn’t stopped society from passing judgment. Montreal-based drag queen Billy L’Amour showcasing her glory and glamour. Photo by George Fok. I consider myself to be an avid drag enthusiast, and it shocked me recently when a friend implied that drag queens were anti-feminist. This isn’t the first time I’ve heard these kind of accusations, and it leaves me wondering if the people passing these judgments have ever actually encountered a drag queen. Drag performers have always been strong advocates for equal rights. Back in the 1960s, drag queens and trans activists were at the forefront of the Stonewall riots that changed the face of the gay rights movement. For those who don’t know, the Stonewall riots were a series of demonstrations held by members of the LGBTQ communities in New York following a violent police raid at the Stonewall Inn; after years of being discriminated against, beaten, and arrested simply for being gay or trans, the community finally fought back and changed history as we know it. They fought for the rights of not only the LGBTQ communities, but for every oppressed group, because they too understood the pain of oppression. Some drag performers may indulge in female stereotypes at times, but drag queens have also celebrated strong-willed women. Icons like Cher and Madonna remain drag favourites because they represent powerful female energy; they dared to be different and rose to the top in a male-dominated world. Drag queens are inspired by feminist figures, but then people have the audacity to call them anti-feminist. It’s not about men using their gender privilege to capitalize on femininity; it’s about people—men, women, and those who don’t conform to either—expressing themselves through their art. It’s about performance, and being able to take on a character that allows you to let go of reality. For some people, that involves putting on a wig, breasts, and makeup and being the strong woman they need to give them the confidence they lack in their everyday life. Throughout history, our fragile idea of masculinity has always been restrictive in terms of how men express themselves creatively. Even in 2016, not everyone is comfortable with a man embracing a more traditionally feminine style. Drag is just an outlet for performers to break down those barriers and explore another side of themselves. With all that said, it’s worth mentioning that this whole argument stems from a very narrow-minded, mainstream idea of what drag is in the first place. To the average consumer, a drag queen is a larger-than-life personality in an extravagant, sequined outfit, clownish makeup, and a crazy wig, who makes crass jokes and lip syncs pop songs. And while that is a perfectly respectable form of drag, it is not the only kind. When a lot of people think drag queen, they think Divine, RuPaul, Lady Bunny, or the queens of RuPaul’s Drag Race, but drag does not always mean a man dressing as a flamboyant caricature of a woman. 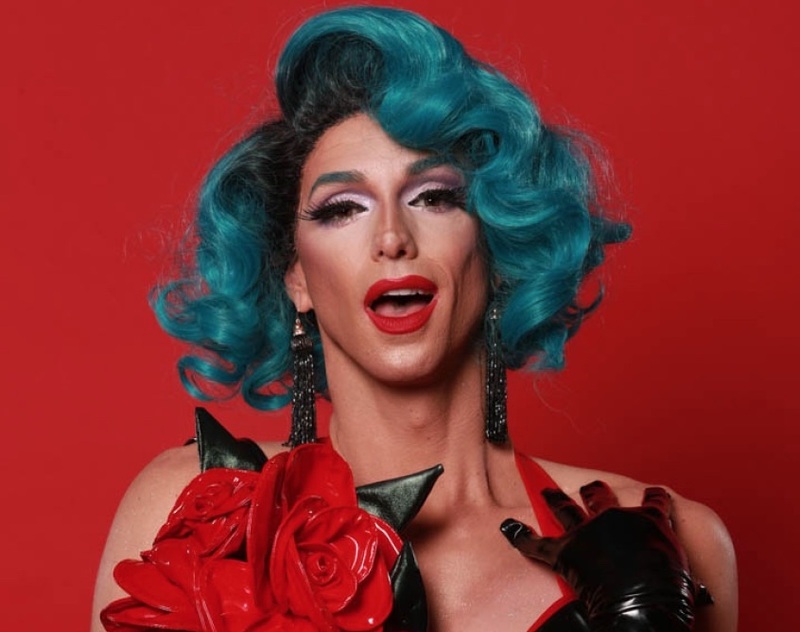 Some drag performers, dating back to the club kid scene in the ‘80s and ‘90s, take on very artistic, conceptual characters that are about more than glamour, lip-syncing, or comedy. In fact, a lot of these performers don’t subscribe to one gender, and instead choose to be more fluid, drawing inspiration from both male and female ideals. That’s not to say only men can be drag performers either. There are drag kings—women who take on male characters—and, more recently gaining popularity, bio (or “faux”) queens, who are biological women performing as drag queens. This argument also discounts the many trans women who consider themselves drag performers. Would you say they are anti-feminist?